Matt DeMino is a freelance artist and illustrator from Texas. 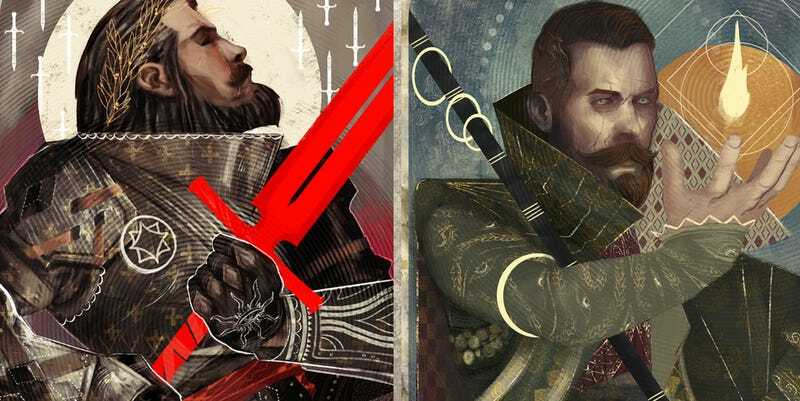 Aghast at the fact his own player character’s card in Dragon Age was just a green hand, he set out to fix it, and drew this series of fantastic Inquisition cards. You can see more of Matt’s work at his personal site and DeviantArt page.